New York (AFP) - Fast-food giant McDonald's said Wednesday it would announce a turnaround plan in two weeks as sinking US sales dragged down profits again in the first quarter. Sales in the Asia-Pacific and Middle East region dropped 8.3 percent, helping bring overall global sales down 2.3 percent, "reflecting negative guest traffic in all segments," the company said. In January Donald Thompson was replaced as chief executive after just three years in the job. Successor president and CEO Steve Easterbrook said Wednesday that the company is working to address the challenges, including closing under-performing restaurants and revising and simplifying menus. "McDonald's management team is keenly focused on acting more quickly to better address today's consumer needs, expectations and the competitive marketplace," he said in a statement. "We are developing a turnaround plan to improve our performance and deliver enduring profitable growth. We look forward to sharing the initial details of this plan on May 4, 2015." Besides closing restaurants and revamping menus, Easterbrook has already announced key measures to shore up the company. Last month he said that, with the chain selling more chicken now than burgers, it will stop serving chicken raised with antibiotics that are important to human health, as worries grow over resistance to crucial drugs. And at the beginning of April the company announced it would increase wages for 90,000 employees in company-owned restaurants in the United States, as well as offering them paid time-off. That was seen as a measure to fend off protests of worker exploitation and ensure the company can curb turnover amid upward pressure on wages from a growing economy. The results came in below analyst expectations: revenues missed slightly while earnings per share, adjusted to exclude special items, came in at $1.01, compared to $1.06 expected. 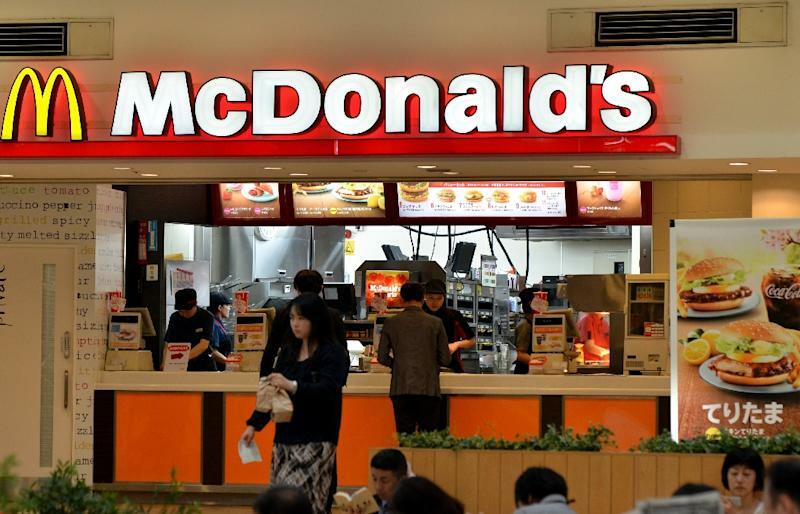 Dow member McDonald's shares gained 2.7 percent to $97.46 n opening trade. Shares were up 4.3 percent since the beginning of the year.